Welcome to Ralph's Offical Web Site Page. Here at Shook's Marina you can meet the famous sociable carp Ralph. He is our official greeter. Feel free to go down to the dock and have Ralph eat right from your hand. 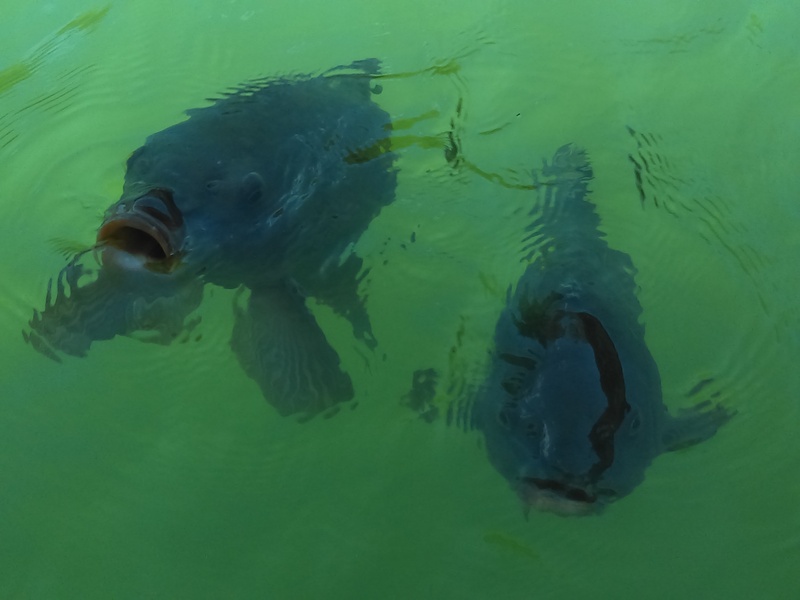 If you are lucky, he might even bring his buddy, Mrs. Carp over to give your toe a kiss in appreciation for his snack. Sure to make the kids squeal with delight and excitement. 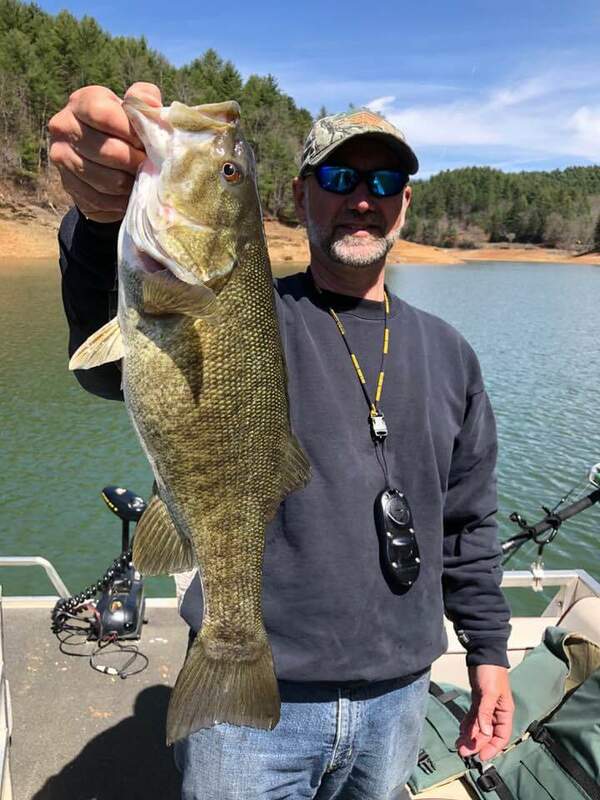 Enjoy all of this free of charge while being surrounded by the breathtaking beauty of the Nantahala National Forest.We are located 11 miles from Murphy, N.C. We invite you to come out for a quick side trip adventure or you can rent a pontoon for the day and swim or fish in the pristine waters of Hiwassee Lake. We have many fish over 60 Ibs. which include, striped bass, musky, and catfish that have been caught here. 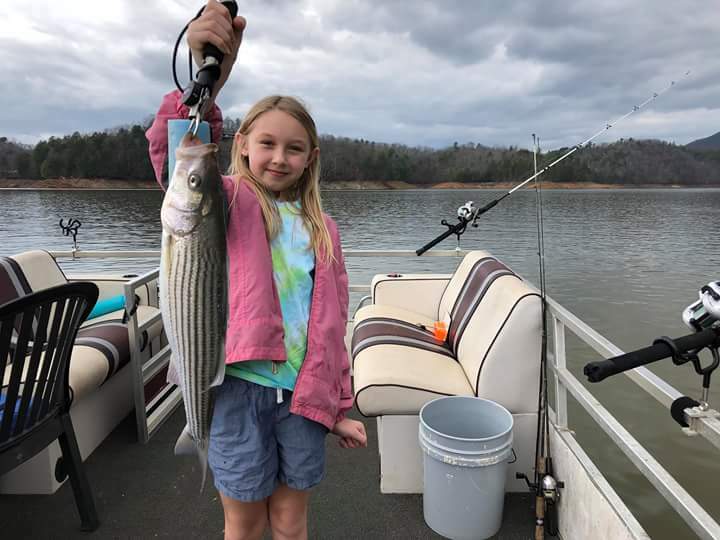 Come try for a world record fish or just fish for fun catching the many species of fish like sunfish, crappie, spotted bass, largemouth bass, smallmouth bass, striped bass, perch, walleye, pike, and various kinds of catfish. Trout can also be caught here. With depths over 300' and 185 miles of shoreline, there is no telling what you can catch. Don't miss this chance to create a lifetime of memories for the whole family. Call for reservations or the current weatherconditions. To obtain your North Carolina fishing license, go to ncwildlife.org or call 888-248-6834.